Rejuvent Skincare is a 100% authorized reseller of every brand we sell. Directed by board-certified, facial plastic surgeon Dr. Kelly V. Bomer, Rejuvent Skincare works closely with each brand to guarantee authenticity and every single product meets our stringent performance standards. Rejuvent Skincare only carries products that have been thoroughly tested for efficacy and have proven results in both clinical trials and in-house testing. Why being an authorized reseller matters? When purchasing from Rejuvent Skincare, you will always receive authentic products. Unauthorized retailers sell product that may be diluted, expired or counterfeit. For your personal health and safety, we recommend always purchasing your skin care products through authorized resellers like Rejuvent Skincare. 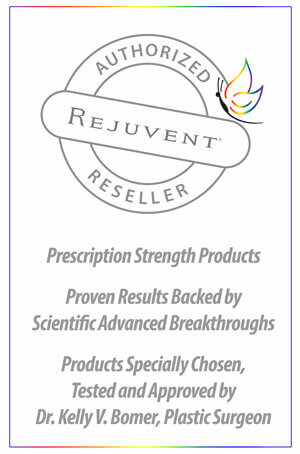 Rejuvent Skincare is the #1 resource for authentic and effective prescription-strength skin care and beauty products. What can happen if you purchase from an unauthorized dealer? Manufacturers will not vouch for the authenticity or condition of products purchased through unauthorized sites and does not take any responsibility for customer dissatisfaction or harm from potentially counterfeit products. According to the FBI, which has issued a warning against counterfeit products; products sold by unauthorized resellers may contain carcinogenic (cancer-causing) ingredients, arsenic and even urine. All our products are 100% authentic and sold to us directly from the manufacturer.